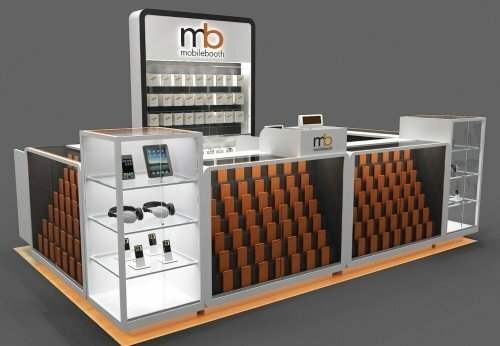 How to start a small kiosk in mall for cell phone accessory retail business ? Obviously , we can see that a mall used smart phone accessory is a very popular and hot business thread. Many people start open a retail kiosk in mall for this. Due to the huge users of cell phone or smart phone . A nice accessory is a necessary . 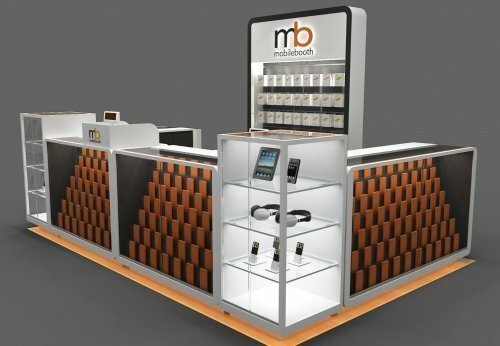 This make the phone accessory retail are boom business in mall and business center. To start a small retail shop for cell phone accessories. 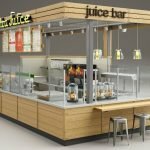 You need a unique design kiosk first. 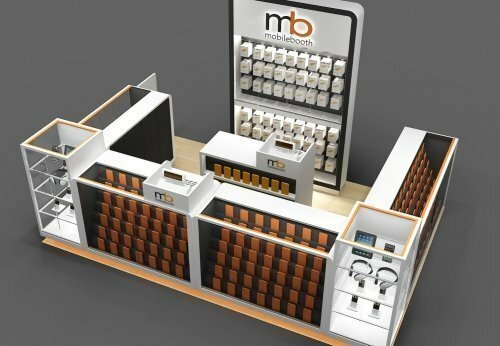 Here blow is a small retail kiosk design for it. Because the size of the kiosk is too small , You can not fit too much display inside the kiosk. So we designed a slope in display showcase to give more products display. The color combination in this retail kiosk is also Commendable. Black and white color give a strong eye contact. 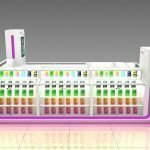 Which make the product display outstanding. 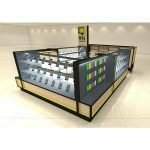 If you want to do a mall used in door custom smart phone accessory kiosk . 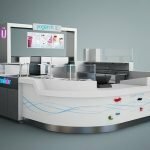 Unique Kiosk will be your best partner. Contact us now , you will get a free kiosk design. Do you like this kiosk design ? contact us now for detailed price and material .